Hopelessly, deeply, uncontrollably fall in love with you. There was no way I was going to write all of that in the title and because I use adjectives a lot, because I am very expressive, I decided that the first set of words in this lovey dovey blog post will do the trick. Think about that one blog you keep going back to over and over. It’s not difficult to remember them, is it? They come right off as soon as you want to go for a blog relief. You are addicted to these blogs, you can’t do without reading them. Something has drawn you to these blogs and even though you can’t say for sure what it is, if you were asked to deliberately say, you can take sure guesses. This is same for YouTube. The first time you listened to this YouTuber you currently stalk on YouTube, you subscribed to their channel, and you have ever since then been one of the first set of people to listen to their new vlogs. What applies to blogging for bloggers applies to YouTube for Youtubers, trust me. As long as it involves creating, developing and publishing content of any kind- text, audio, video, any content. 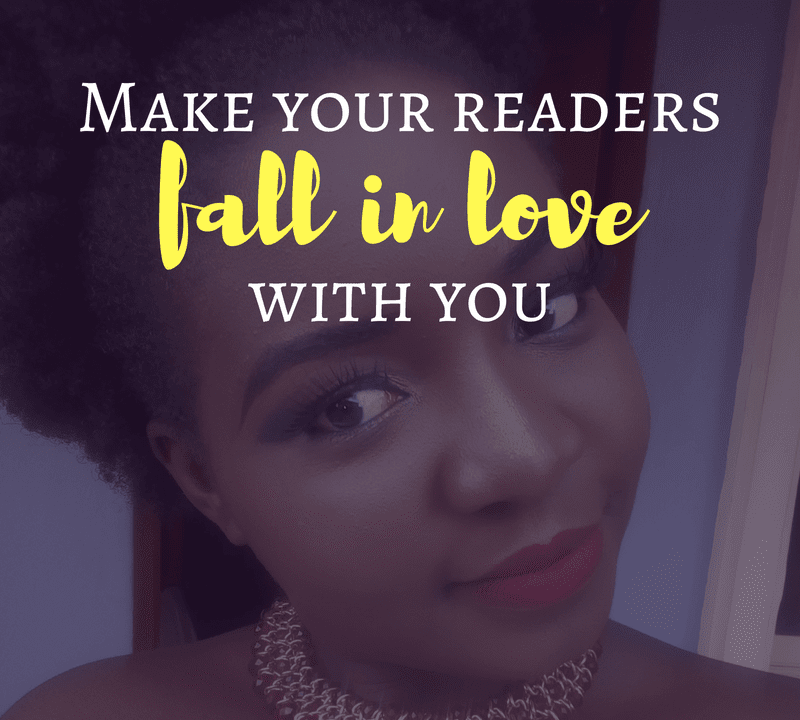 If a blog reader were to fall in love with you, imagine how much of love he can spread all over your blog. Comments, shares, support etc. Having more than one of this kind of blog reader is going to be bliss. Let me warn you, many of the things I am going to be sharing (as secrets) are obvious and popular. So, no, there’s no secret anywhere. Why this blog post matters, however, is that you get to come back to the basics and settle down with what works. I don’t know how many blogging articles you have read this year or this month, this one blog post will bring you down to the real deal. Well, you know me, I am going to say it as it is and I want to assure you, if your blog means that much to you and you have an audience you care about, you are going to finish this article more empowered than when you started. We will get right to how to get your blog readers to fall in love with you straight away. Okay, wait. I don’t intend to lose you now. So, yes, I am sorry you have heard this over and over and it’s beginning to sound like the evasive solution to all blogging problems. But no, I am going to mention it still. This time, in a different light, you know. Not just the usual “write quality content”. It’s different this time, I promise. In reality, no one can blatantly define high quality content with some boring metrics. There are some obvious assessments, I agree but you see, quality content, as we will come to realize all comes down to the blogger, their niche, the audience and the audience’s needs. While some people are all about word count, some other Bloggers are churning out content in less than 500 words and having their readers loving it. To truly measure quality content, not only industry factors should be considered, the audience’s true needs should be number one. The Bloggess and Xo Sarah are Bloggers that have been able to successfully pull this off (writing short posts that still meet their audience’s needs). I would say that for a start, you might need to go out of your way to convince total strangers that you are worth their time, that your blog isn’t just another crappy web page on the internet. So, yes, long, extremely detailed long posts might be the only thing you can bet against. As time goes on, your assessment of quality content will begin to change according to needs. Please, do not get me wrong. You may have to write more long detailed posts no matter what stage or season of your blogging you are at. What I am trying to say in essence here is that there is no one rule fits all for measuring quality content. It could be long, extremely detailed posts. It could be short, precise, ‘hit the nail on the head’ posts, it could be a combination of all at different blogging seasons. Writing quality content might just have to answer the need to be the most interesting, the most valuable, the most informative, the most precise, the most endearing. Here are questions you should answer to be sure you are churning out quality blog content. 1. Am I meeting my readers’ needs? 2. Can I do better? Is this the best I can do? Is this all I can offer? 3. What more do I need to add to this post to make it the best of its kind on the internet? 4. If I were to read something on this topic, would I pick my blog post? 5. Is this something I would be proud and motivated to share with anyone? To stick to your voice, you have to find it. To find your voice, you have to be able to identify what you are passionate about and effortlessly pass it on to strangers (who may eventually become blog hommies) on the internet. Listen, people can read through you. People know when you are writing something that you love to write because it reflects in your writing tone and style. In fact, it reflects in the way you respond to comments and your enthusiasm generally. Your enthusiasm will make your blog readers stay and fall in love with you as a Blogger. Open up and let your readers enjoy you like they would enjoy conversing with a friend. For some of the Bloggers I have connected with, I was able to see through them in the most transparent ways. I have had to read and watch Bloggers come on to the Internet with all of their glamour and fakeness. Only facade. To truly connect and get people to fall in love with you, you should be transparent enough to let them enjoy you like they would someone they are discussing with physically. This isn’t even about revealing your secrets or anything you are not comfortable with. No, it isn’t also about discussing what you do in your bathroom. This is about helping your readers get a scoop about you the way they should. If they met you offline, can they connect with you like they did when they read you online? Can they resonate and relate with your challenges and uniqueness as an individual? Can they long to see more of your views to life? Do they have a good grasp of what they think your values are? Let your Blogging be your alternative social media where you can share whatever you want to share in a more articulate, planned, edited and interesting way. Blog readers are going to fall in love with you if you are real, transparent, original and selfless. If you are able to write to them like they can hear you and you are able to meet their needs and expectations, you are walking into the lovey dovey territory of your blog readers.